Located in Foothill Ranch, Brookfield Residential’s new El Paseo neighborhood offers one of the best values for new homes in Orange County with a range of 1, 2, and 3-bedroom townhome designs including “Plan One,” the neighborhood’s most attainably priced offering. Plan One is ideal for single professionals or young couples, a contemporary two-story home that includes a master bedroom and bath, great room that flows seamlessly into a modern kitchen, covered deck, and 1-car garage with roughly 946 sq. ft. Spanish-styled architecture sets the stage for El Paseo’s six appealing attached home designs all planned for comfortable living. Homeowners will immediately feel at home with spacious great rooms for entertaining, well-appointed kitchens with granite countertops and stainless steel appliances, large master bedrooms, and select plans feature a first-floor den, patios/decks, and/or private courtyards. 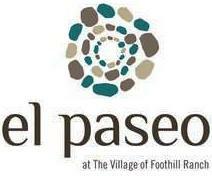 El Paseo’s 1-bedroom floorplans start from the high $300,000s, 2-bedrooms from the mid $400,000s and 3-bedrooms from the mid $500,000s. For more information on El Paseo, visit its Welcome House and inquire about the community's November and December move-in opportunities to take advantage of builder warranties, customize interior colors/finishes, and learn more about long-term rate lock programs through iMortgage.